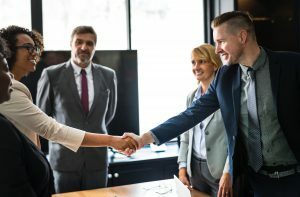 Venture financing is every entrepreneur’s goal— so every entrepreneur needs a plan to get his or her startup to the venture financing stage. That’s why M2D2 is hosting an informative happy hour: Simplifying Venture Financing: What You Need To Know, after work on Wednesday, January 30. For knowledge-gathering and great networking (plus food and drinks), it’s a don’t-miss event for Boston-area life sciences startups. If you’re committed to your business vision, then you MUST start planning for venture financing. NOW. Even if your startup is brand-new, NOW is the time to map out your complete business growth path — all the way to venture financing. You’ll get a crystal-clear picture of the process from three noted life science business financing experts to our Lowell center. Understand how venture financing works today. Learn what to look for (and look OUT for) in a VC offer. Learn how to prepare your full business financing plan—from angel investors to VCs. Find out the preparations you need to make to advance to each stage of financing. Get expert answers to all your business financing questions. Network with VCs, other investors, and your entrepreneur peers. Enjoy complementary snacks and beverages. PLUS, enter to give a practice pitch. So much rides on your business pitch, and practice makes perfect. So bring your deck and enter your name into our drawing. We’ll pick one attendee to give their business presentation and get valuable feedback from our panel. AND learn about 2019 $200K Challenge. The 8th Annual M2D2 $200K Challenge is ON! Learn what every life sciences startup needs to know at info session during the Happy Hour. Reserve your Happy Hour tickets now. 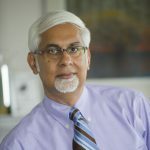 Vinit Nijhawan is Interim Executive Director at Massachusetts Technology Transfer Center in UMass President’s Office. Vinit was Managing Director at UnitedLex focused on academic IP commercialization. Vinit was Managing Director, Office of Technology Development at Boston University where he launched 8 venture-backed spinoffs and successfully executed a patent monetization program. Vinit teaches MBA courses on Entrepreneurship at BU Questrom School of Business, over 450 students have taken his courses. Vinit has over 30 years experience building five startups: as CEO of three, five were acquired. Vinit was Venture Partner at Key Venture Partners and his one investment was acquired for $430M. Vinit is an advisor and board member to several technology startups and was a Mass High Tech All-Star in 2005. Vinit has participated in over 240 panel discussions and paper presentations, and was a Board Member of Mass Ventures, an early stage, quasi-public Massachusetts venture capital firm, a co-founder of EdTech Accelerator/Incubator LearnLaunch, ex-President of Massachusetts Association of Technology Transfer Offices and co-founder of Waterloo Alumni Angels. Vinit is also serving or has served on non-profit boards of VentureCafe Foundation, National Academy of Inventors, TiE Global. Vinit earned a B.A.Sc in electrical engineering from the University of Waterloo in Ontario, Canada. Nancy Briefs‘ background includes 35+ years in the medical device industry. She is a serial entrepreneur and has been an integral team member responsible for successfully developing and commercializing innovative paradigm-shifting technologies with six prior MedTech startups. Having raised over $500M in capital and six successful liquidity events (including an IPO with Goldman) she has proven the ability to lead teams from concept thru commercialization and value creation. 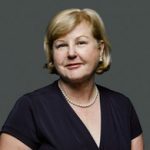 She has served on the Boards of: HealthHelm, Digital Cognition Technologies, InfoBionic, MyndBlu, CardiAQ Valve Technologies, MDMA (Medical Device and Manufacturers Association), Apama Medical, Direct Flow Medical, Eleme Medical, and Percardia. An entrepreneur inventor, she is listed on seven issued and two pending US patents. William E. Yelle is Executive Chairman of Envisia Therapeutics. 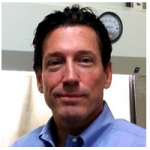 He has spent over 30 years in the biopharmaceutical industry, with experience ranging from large pharma to early stage, venture-backed companies. He currently serves as Executive Chairman of Envisia Therapeutics, as well as an advisor to several entrepreneurial startups. He is also an adjunct faculty member at the Manning School of Business.